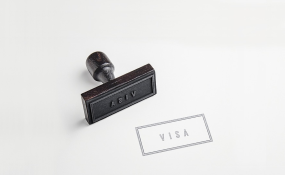 Reactions have continued to trail the United States Embassy in Nigeria's statement that the embassy Visa Officers, contrary to popular beliefs, 'do not enjoy denying anyone visa. The Embassy made this known on a Facebook post on Monday saying 'Contrary to popular opinion, Visa Officers do not enjoy handing anyone the 214b refusal letter. Some of those who reacted to post like Adaobi Emmanuella Njoku narrated her experiences saying: 'Contrary to what you just posted, I think and believe they actually do enjoy it because they act like they know it all and still end up giving visas to people without genuine intentions. Ufoeze Oge Uc said: 'To think I stood before a staff and the first thing he asked me was What does your husband do? I answered "Sir am not married" the next thing I heard was sorry ma you are not qualified for this visa. So it's now a must to be married. When people are sincere they are denied, I can't lie because I want to go to another man's land. Anyway na me find them go. Ogbeni Samuel Adeleke Adejimi said: 'Thanks for giving us the opportunity to ask questions relating to common mistakes that led to visa denial based on DS 160 form. I've had 5 different experience. Akufai Valentine Jonah said: 'Had a terrible experience in 2013. I got scholarship to attend a conference in Denver but was denied visa. I was not angry because i was denied visa, i was angry in the manner of the disrespect from the consular officer. Imagine giving one that refusal letter and you are told off you go without any tangible explanation, after reading the letter, it states that i don't have strong ties to my country either through being married, niether do i have a job and back then i use to work with an NGO and it was clearly stated in my application, i have forgotten the third excuse. I just laughed and left, I know people who are single then and are still single today that have gotten US visa, i know people who have no job but have gotten US visa, i know people who had zero travel experience but yet were granted US visa. Since that episode i have never ever applied for a U S visa because i don't have any business there for now. Me, I would never get marry because i want to secure a US visa, Who sets the rule on what is "Strong ties"? Just a way to allow someone play "God". For me, you get US visa base on which side of the bed the consular officer interviewing you wakes up from.